Lava has not officially announced the Lava Iris 505 and iris 506Q, but both the mobile phones are available from Snapdeal. The 505 comes with 5inch screen and Android v4.2 operating system. The specification and features of both the handsets are similar except processor and Screen resolution. There are many handsets in the market that comes at affordable price and offer better specs at cheaper price. But the Gesture control feature makes the Lava 505 apart from budget dual core handsets, for that you have to pay extra 3.5k. The device has Round edges, which would make it easy to hold in hand and design + look is stylish. 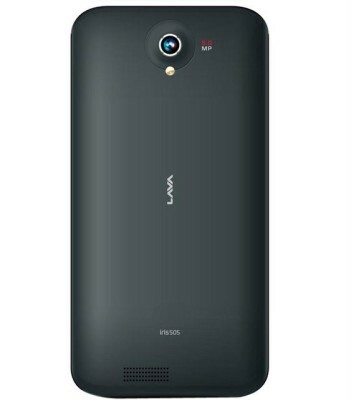 There are bunch of sensors, a 0.3MP camera and a earpiece integrated at the top front of the Lava 505 . There is 5inch FWVGA resolution (854×480 pixels) capacitive touch screen above the three touch sensitive buttons. The 5megapixel primary camera is placed at the rear of the device and loudspeaker is placed at the bottom-rear. The device draws its strength from 1.2GHZ Dual Core processor paired with 512MB of RAM. As always, Android 4.2 jelly bean operating system is there to boost the device. It has 5″ (854×480 pixels) display, Dual SIM support with Dual Standby. The Iris-505 has 5MP camera with LED flash and VGA front facing camera with video calling support. The 505 has 3G ,2G, Wi-Fi, Bluetooth, GPS , 3.5mm audio jack, FM radio and micro USB port connectivity. It offers up to 21Mbps of downloading speed on 3G network, but speed may vary from operator to operator. The Iris 505 house 2000mAh battery that 6hours (2G) and 4.5 hours of talk time on 3G network. It is 9.5mm thick and comes with 4GB on board / internal storage (ROM). The expandable memory is up to 32GB and come in black color. 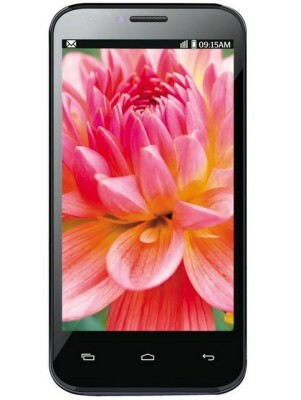 Lava Iris 505 would compete with Spice Mi 436, Micromax A76 and Gionee Pioneer P2. The Price of the phone is Rs 8999.